We are growing increasingly concerned for a man missing from home. He is described as white, five ft six ins tall, with short dark brown hair. He has several tattoos on his arm including a Jesus on a cross, mum and dad, the names Johnny and Cathy and love and hate on his hands. 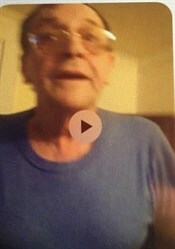 He was last seen wearing a shirt, light coloured jumper and blue cardigan, dark blue trousers, black gloves, a black jacket and white trainers. He was wearing a brown leather strapped watch and carrying a walking stick. Anyone with information should call police on 101 quoting log number 1513 of April 7th.